Hi all. I have a Sears 60mm with the diamond Z mark, which I read here was made by Tanzutsu. It looks decent and the optics seem pretty good (daytime test), but the pinion on the 2-sided focus knob is totally stripped (rack is OK). Can anyone give me an idea of where to start looking for a replacement? 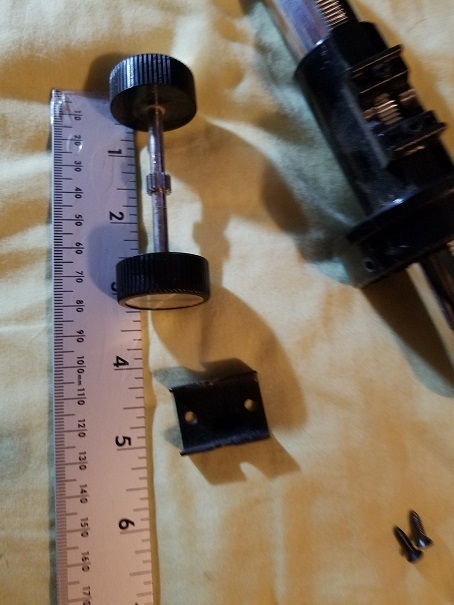 The whole piece is 3" long, and the inner rod (w/pinion) is 2". A model number and photos could be helpful. Many telescopes have different badges but are made by the same manufacturer. 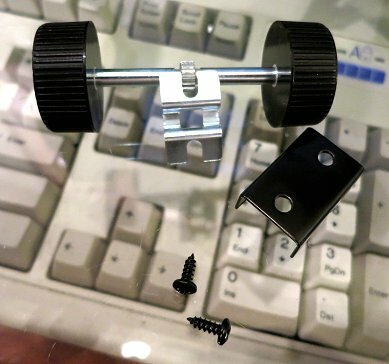 In my experience most of the starter type telescopes can interchange parts such as this. I cant be 100% certain but I feel you can find a suitable replacement without too much trouble. We all like looking at the classics. 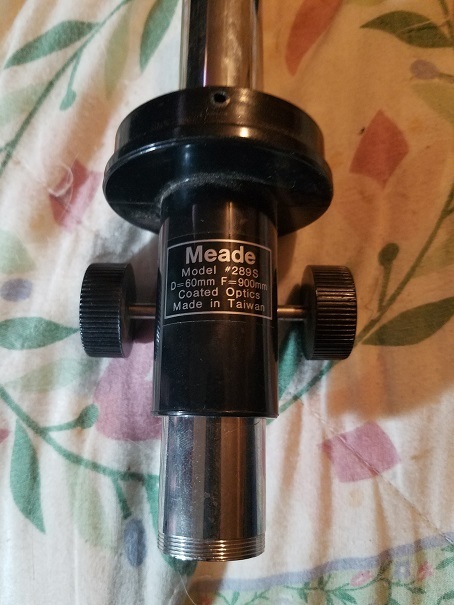 I have a sears 60mm Focuser ready for new home or parted out. I may have what you are looking for so post photos and if I have one it's yours for shipping. Incidentally, even with the modern, plastic, entry-level focussers, although the rack will be of plastic, the pinion is usually of metal. I have this one that I don't have plans for. Thanks for all the replies! Below are a couple of pictures. I was surprised how good the daylight image was with the 12.5mm eyepiece. I'm going to clean it up for the 8 yr. old son of friends. He's enjoyed coming over and looking through our scopes with my daughter. It's missing the chain, but I'm guessing I can use three lengths or cord attached to a central ring. I may try to find a better .965 eyepiece or two (I have a set of three Celestron "Halloweens" in that size and may just include a couple of those). Other than that, it looks like it just needs the dust wiped off. The solar mask and screen were unopened. You will get better stability if you chain from leg to leg around the perimeter instead of going from each leg to a center ring.